Stay at the world’s largest hotel made completely of snow and ice. 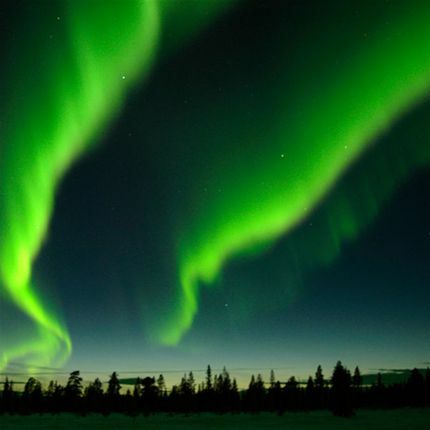 Cuddle up below reindeer hides and sleeping bags in your icy chamber and explore one of Europe’s wild places where appearances of the Northern Lights are frequent. The sculptures in ice, the array of winter activities and the possibility to view the Northern Lights combine to create a romantic short break or honeymoon which can be customized to your requirements. Arrival to Kiruna and shuttle transfer directly to the ICEHOTEL (20 minutes). 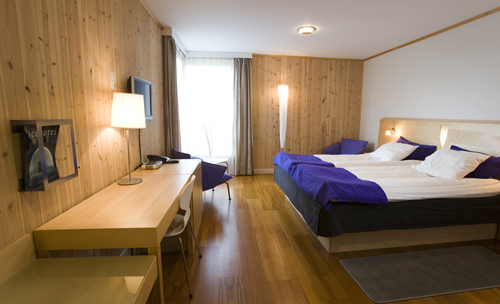 You'll stay in a cold art suite room for the first night followed by two nights in a warm Kaamos hotel room. Dinner is available to buy in the ICEHOTEL restaurant. 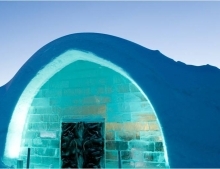 Enjoy exploring the ICEHOTEL and all its unique rooms and carvings from ice. Share a celebratory drink in the ice bar before retreating to your beautiful Art Suite cold room. You'll stay warm in thick Arctic sleeping bags on top of soft reindeer hide. Awaken from your icy slumber with a cup of warming berry juice and a sauna. Breakfast is served in the restaurant and now it's time for some Arctic adventures. This romantic short break at the ICEHOTEL will be tailored to your requirements but we'd recommend today a dog-sledding safari in the surrounding wilderness. This four hour tour gives you the chance to drive your own team of husky dogs. you’ll enjoy a privileged insight into a musher’s everyday life. The tour continues to an isolated wilderness camp located far off the beaten track. Transfer and a traditional lunch served in a wilderness camp are included. 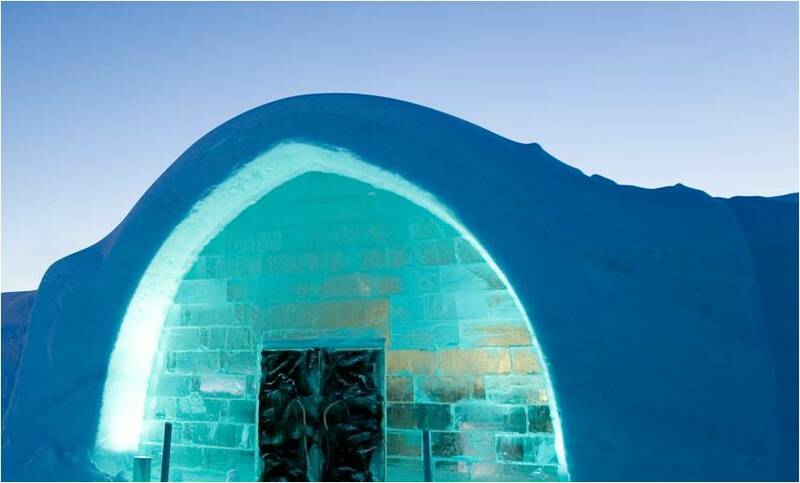 In the late afternoon, you can check into your warm hotel accommodation at the ICEHOTEL. Evening at leisure. In the evening, it's time to depart for a snow mobile safari. 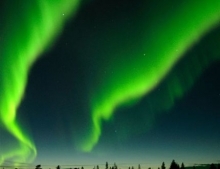 Join local experts in search of the magical and elusive aurora. You’ll learn about the phenomena from your local guides. During the tour you’ll also enjoy a three course dinner served at a wilderness camp made from traditional local ingredients. You’ll be sharing snowmobiles during this tour. Today it's time to transfer to the airport for your return flights. Not ready to leave Sweden? Why not let us tailor your honeymoon or short break with additional nights at the ICEHOTEL, or perhaps at another Arctic location such as the Treehotel. We're on hand to custom-build your itinerary to ensure that it is exactly to your expectations. We also plan and arrange weddings at the ICEHOTEL - please get in touch with us and our wedding co-ordinator will be pleased to assist. From £1595 per person. Please get in touch for a price based on your preferred travel dates, activity choices and accommodation style. Optional excursions and tours. We'll tailor this trip to your requirements.